Global automotive relay market size is anticipated to reach USD 12 billion by 2020. Global Automotive Relay Market is anticipated to reach USD 12 billion by 2020, as per a new research report by Hexa research. Rising need for high-frequency signals in automotive industry is expected to drive demand. These relays enhance driving experience and provide greater safety for consumers. Escalating adoption rate of sophisticated electronic equipment coupled straight government initiatives regarding safety is likely to favor automotive relay market growth prospects. However, lack of standardization in components is likely to challenge industry participants. PCB replay was the leading product segment and was valued USD 5,500 million in 2013. It is expected to gain significant market share and reach USD 8,500 million at a CAGR of 6% from 2014 to 2020. Miniaturization of electromechanical relays is likely to promote its demand. 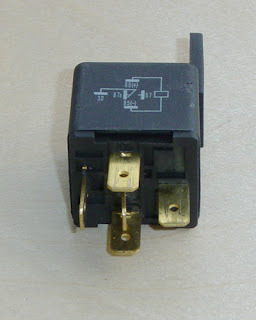 Plug-in relays were the second largest product segment and accounted for over 32% share of the overall revenue in 2013. Increasing usage of electronic control modules along with electronic components are factors responsible for demand growth. – Global automotive relay market was valued USD 8,372.0 million in 2013 and is likely to reach USD 12,584.5 million by 2020 growing with an estimated CAGR of 6.2% from 2014 to 2020. – Global demand in convenience was USD 885.4 million in 2013 which is expected to reach USD 1,255.8 million by 2020, growing at a CAGR of 5.3% from 2014 to 2020. Driver information is projected to be fastest growing application segment and accounted for 5% of the industry share in 2014 growing at an estimated CAGR of 6.7 % from 2014 to 2020. Increasing communication coupled with smartphone proliferation is expected to be the key driving force for the growth. – Asia Pacific dominated the regional demand with an estimated market share of 50% in 2013. This region is also expected to be the fastest growing region, growing at a CAGR of 7% from 2014 to 2020. Availability of raw materials and low labor costs are driving factors for the region. Europe is the second largest regional segment and is expected to reach USD 2,733.3 by 2020. – China is the largest contributor for automated relay market growing at a CAGR of 6.5 over the forecast period. India is expected to be the fastest growing region owing to increasing disposable.